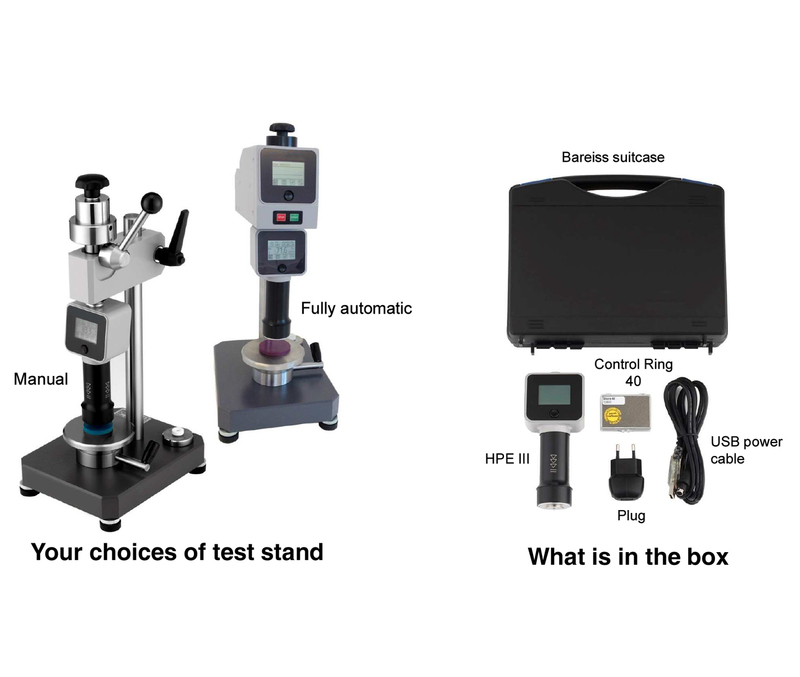 Qualitest offers Digital Hardness Tester HPE III which provides significant test data for the use in laboratory or field. Companies that develop or use the products made of soft elastic materials product have usually a laboratory in which the products and raw material are regularly tested according to the standard. Navigate all functions through a touch of your thumb. The new HPE III is designed for one-handed operation. 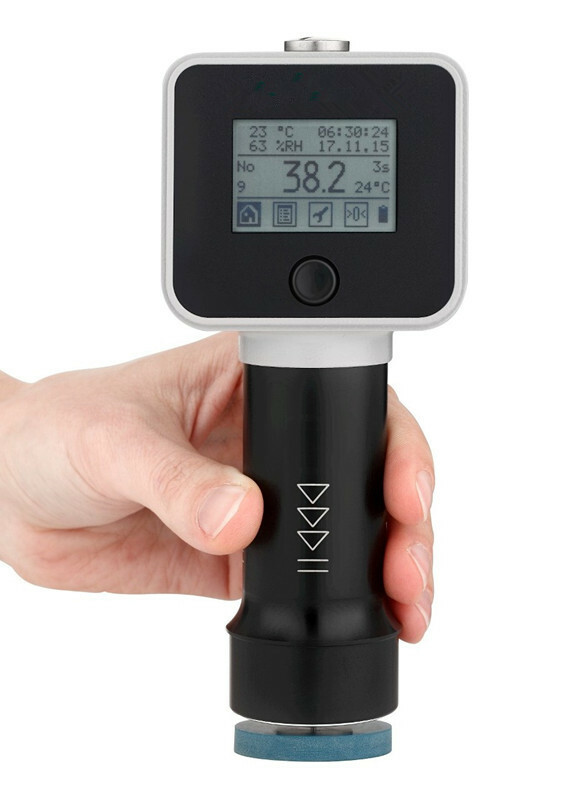 Equipped with 2 temperature sensors with 1 for measuring the specimen temperature and the other for the environmental temperature as well as humidity. A patented hand-grip helps to minimize incorrect measuring angle and ensuring the right force is applied. The new HPE III measures 153 L x 67 W x 43 D mm and weighs only as little as 285 grams. The slightly tilted top section eliminates any light reflection from the screen making it a comfortable reading angle. The structure importance is not compromised because of its sleek design, the entire HPE III housing is made of aluminum alloy which is meant to provide light weight and robustness. The HPE III is designed to provide great usability. 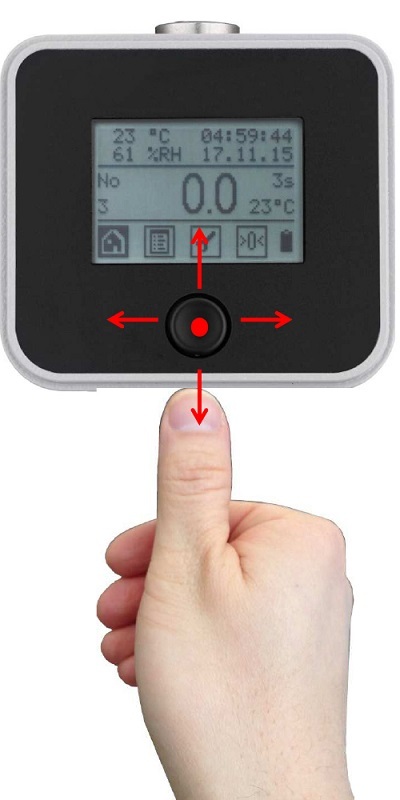 Simply with a touch of your thumb, you can navigate through all functions on the screen while your hand has a firm grip on the lower section of the device. It is a truly one-handed operation durometer. One of the most common mistakes to make when a measuring is taken place in the angle of approach. The HPE III has a large hand grip to assist the user to approach the specimen perpendicularly. The special mechanism inside the hand grip delivers an exact amount of load (Shore A = 1kg / Shore D = 5 kg)required as when the presser foot gets into a full contact with the specimen.